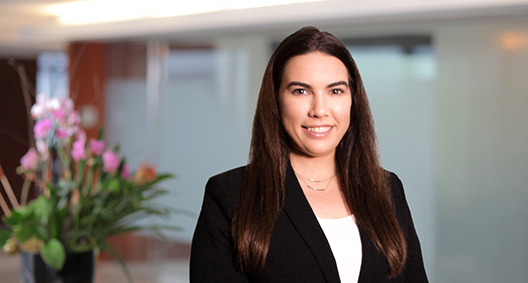 Jaime Petenko's firm stance at the intersection of privacy and emerging technology issues, joined by her strong corporate background, lends a distinctive perspective to her privacy and data protection practice. She offers clients an insightful approach, complete with an in-depth understanding of international, federal and state rules, regulations and guidance related to privacy, including the General Data Protection Regulation. Additionally, she counsels clients on how to prepare for the new California Consumer Privacy Act (CCPA) and the multitude of other potential U.S. state and federal privacy laws, including advising companies on managing risk related to data collection and use and designing and implementing privacy compliance programs. Jaime's grasp on cutting-edge matters also allows her to advise clients on legal and regulatory issues related to blockchain, virtual currencies and artificial intelligence. That knowledge pairs with a unique familiarity of a company's concerns. Jaime spent significant time representing business leaders overseas, facilitating capital markets offerings, as well as mergers and acquisitions -- experience that now inspires Jaime to devise cost-effective solutions to risk management. The Pro Bono Institute, Contributor: A Survey of Pro Bono Practices and Opportunities in 84 Jurisdictions.